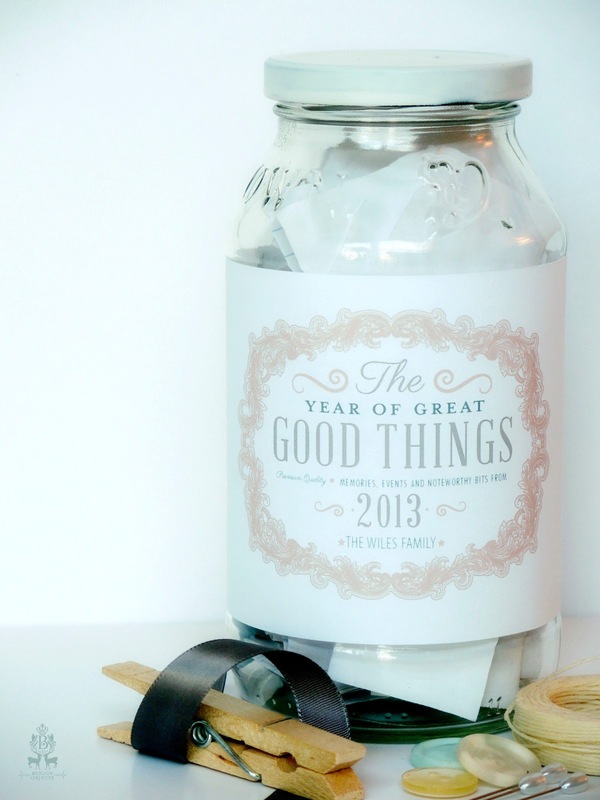 Start on January 1st with an empty jar (okay, we're a little late, so start Feb. 1, or backdate some paper slips). 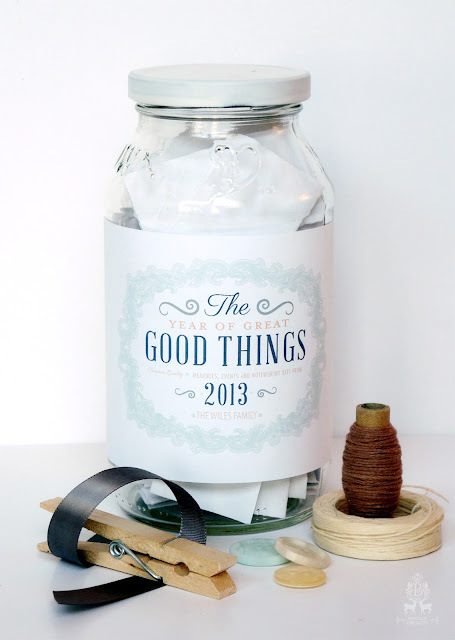 Throughout the year write the good things that happen to you on little pieces of paper. On December 31st, open the jar and read all the amazing things that happened to you that year. 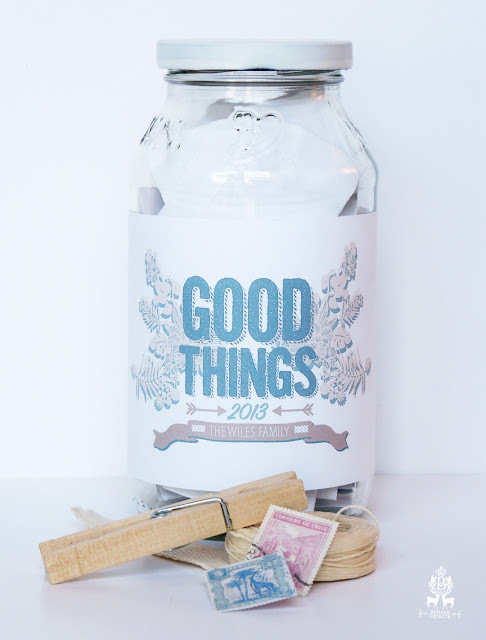 I am all about gratitude this year, so I loved the idea of this project, but I thought it might be more fun if the jars had a dedicated label the spiff them up. So I piggybacked off the original idea and made some jar labels for you all. There are 2 designs and a few colorways for a total of 5 labels. Also, there's an editable part for your to input your family's name, or whatever other text you want. Hope you all enjoy! You can download the PDFs by clicking here. *sadly, I can't find a source for this project. If you know the source, please let me know, so I can properly credit. 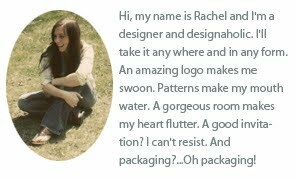 Found you through The Bright Side Project, awesome blog :) The oldest version of this that I've been able to dig up is this page: http://www.writeshop.com/blog/2010/11/04/30-days-of-gratitude/ so perhaps it's theirs? Lovely labels either way! 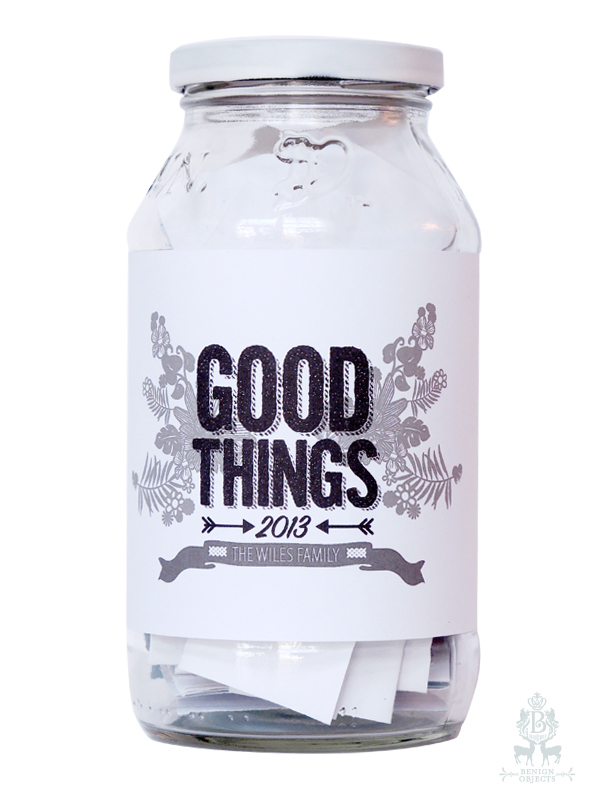 Thanks so much for the download - do you have one for 2014? Love!! Do you have one for 2014, by any chance?